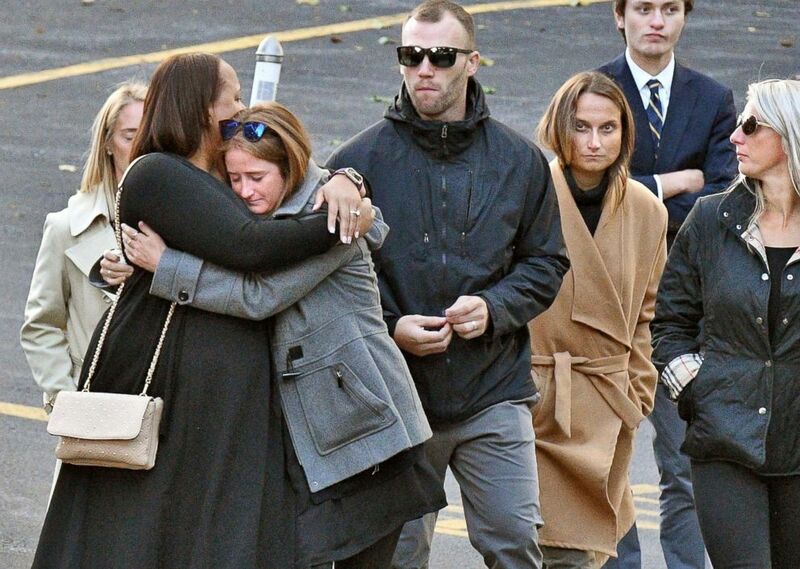 Four sisters and their four family members who were among 20 people killed in a limousine crash in upstate New York last week were laid to rest Saturday. The group was on their way to a birthday party with several other friends on Oct. 6 when their stretch limousine blew through a stop sign and slammed into an unoccupied, parked SUV in Schoharie, New York, about 43 miles west of Albany. All of the limo's 18 occupants, including the driver, were killed as well as two pedestrians who were standing nearby, authorities said. Both state and federal authorities are investigating the crash, which is the deadliest transportation accident in the United States since August 2009, according to Robert Sumwalt, chairman of the National Transportation Safety Board. 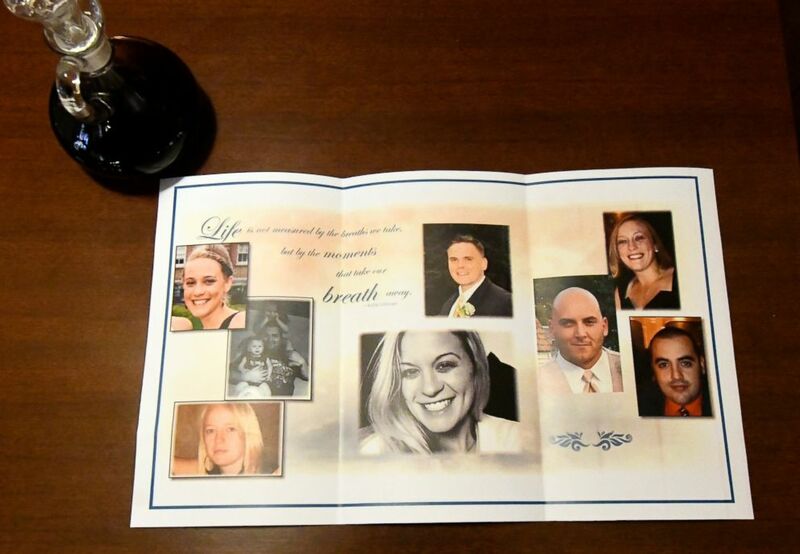 This photo shows a church program for a funeral mass for eight of 20 people killed in last Saturday's fatal limousine crash in Schoharie, N.Y., during a service at St. Stanislaus Roman Catholic Church in Amsterdam, N.Y., Saturday, Oct. 13, 2018. 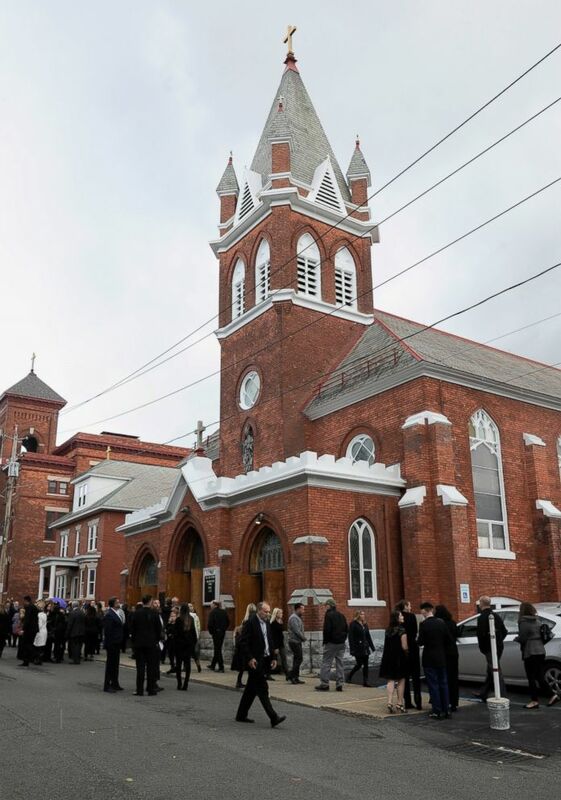 A combined funeral service was held Saturday afternoon at St. Stanislaus Church in Amsterdam for eight of the victims inside the limo: Allison King, 31, of Ballston Spa, New York; sister Abigail Jackson, 34, and her husband Adam Jackson, 34, of Amsterdam, New York; sister Mary Dyson, 33, and her husband Robert Dyson, 34, of Watertown, New York; sister Amy Steenburg, 29, and her husband Axel Steenburg, 29, of Amsterdam, New York, as well as his brother, Richard Steenburg, 34, of Johnstown, New York. "They were special girls," Valerie Abeling, aunt of the four sisters, told ABC's Albany affiliate WTEN-TV. "I loved them dearly. My brother said he lost most of his family." The group was celebrating Amy Steenburg's 30th birthday, family members told ABC News. She had just married her husband in June. The limo involved in the crash failed a Sept. 4 safety inspection in part due to an Anti-lock breaking system (ABS) malfunction indicators for the hydraulic brake system, according to records reviewed by ABC News. Friends and family attend a funeral mass for eight of the 20 people killed in last Saturday's fatal limousine crash in Schoharie, N.Y., during a memorial service at St. Stanislaus Roman Catholic Church in Amsterdam, N.Y., Saturday, Oct. 13, 2018. A lawyer for the limo company, Prestige Limousine, told ABC News earlier this week that the vehicle had failed the safety inspection over minor problems. However, the New York State Department of Transportation disputed that claim. "The assertion that the limousine was cleared to be on the road following the September inspection is categorically false," Joseph Morrissey, spokesman for the New York State Department of Transportation, said in a statement. "The vehicle was subject to inspections and the owner was warned not to operate the vehicle; the vehicle was placed out of service." 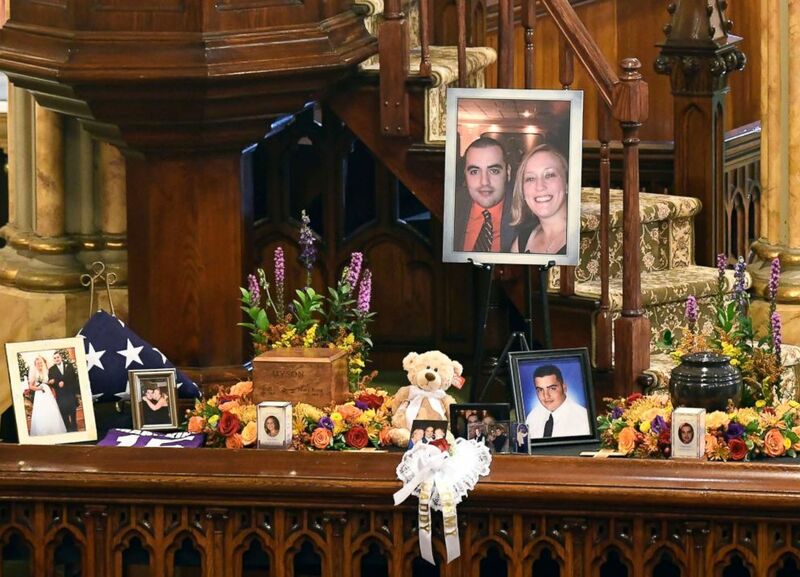 A unity urn with cremated ashes of Robert Joseph Dyson and Mary E. Dyson is set in place as friends and family prepare for a funeral mass at St. Stanislaus Roman Catholic Church in Amsterdam, N.Y., Oct. 13, 2018. The driver, 53-year-old Scott Lisincchia of Lake George, New York, did not have the appropriate driver's license required to drive a vehicle that can hold more than 15 people, a law enforcement official told ABC News. Lisincchia had previously told his wife about issues with the vehicle, according to Richard Burke, the family's spokesman. Burke said Lisincchia's wife "told me that he had complained to her regarding the condition of some of the vehicles." Mourners leave St. Stanislaus Roman Catholic Church during calling hours for Schoharie limo crash victims, on Oct. 12, 2018, in Amsterdam, N.Y. The operator of the limo company, Nauman Hussain, was arrested Wednesday and charged with criminally negligent homicide, police said. He was being charged because he put a defective vehicle back on the road and hired a driver whom he knew was not properly licensed to drive the vehicle, a source familiar with the matter told ABC News. Hussain pleaded not guilty and was released on bail Wednesday night.